Part one appeared in the April 3-rd, 2018 edition of the New York Real Estate Journal’s Owners, Developers & Managers section. There’s a reason why energy code requires commissioning in the first place — to build better buildings. For maximum benefit, commissioning should be performed in three phases: Design phase, construction phase, and pre-occupancy phase. The design phase is critical to the commissioning process. There are a lot of complexities in designing and constructing a building. Just because the design makes sense on paper does not mean it will translate that way in construction. A good commissioning agent will suggest locations of isolation valves, sensors, and potential access points to allow for continuous commissioning. Having an agent ensure the design meets the intentions of the building through a collaborative process allows everyone to create the best design possible. There is only so much an agent can do if they are brought on during construction. Each time Bright Power was engaged after the design phase, we found significant components of design that were either over complicated (and therefore unnecessarily expensive), detrimental to optimal equipment function, or were installed in a way that prevents basic access. Had we been involved from the project’s inception, those problems would have been identified and eliminated before the construction phase, resulting in significant savings. During construction, the agent will work with your general contractor and subcontractors to ensure equipment installation is correct and the start-up and operation of the equipment is optimized to the design.. To do that, (s)he must be on-site during all key points in the construction process..
Once the equipment is operational, the agent will perform a series of functional performance tests designed to diagnose problems that could pop up during occupancy. The kinds of things that we have found and corrected through functional performance tests include fans installed backward and ductwork that was not properly attached, resulting in rooms with extremely cold and hot temperatures. If the agent has done her/his job, all of the building’s equipment will have been installed correctly. While this doesn’t sound exciting, think of it this way: You just spent millions of dollars on a project that took years of careful planning, coordination, and execution. If the final step – occupancy – would be held up for a few months due to equipment issues, that delay would be both costly and maddening. But that’s nothing compared to the frustration that would result from learning that commissioning typically represents less than 0.25% of a new construction project’s total cost, whereas fixing a commissioning mistake can cost you millions of dollars. The final phase of commissioning is to train your building site-staff so that diagnostic, operational, and maintenance procedures are second nature. As your agent, we work with your contractors to produce a training curriculum for your building operators. Rather than being a trivial added upfront cost, commissioning is a critical process to protect your investment. It’s one of the best investments you can make on your new construction project. 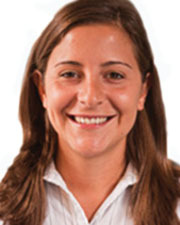 Andrea Mancino is a director of new construction at Bright Power, New York, N.Y.